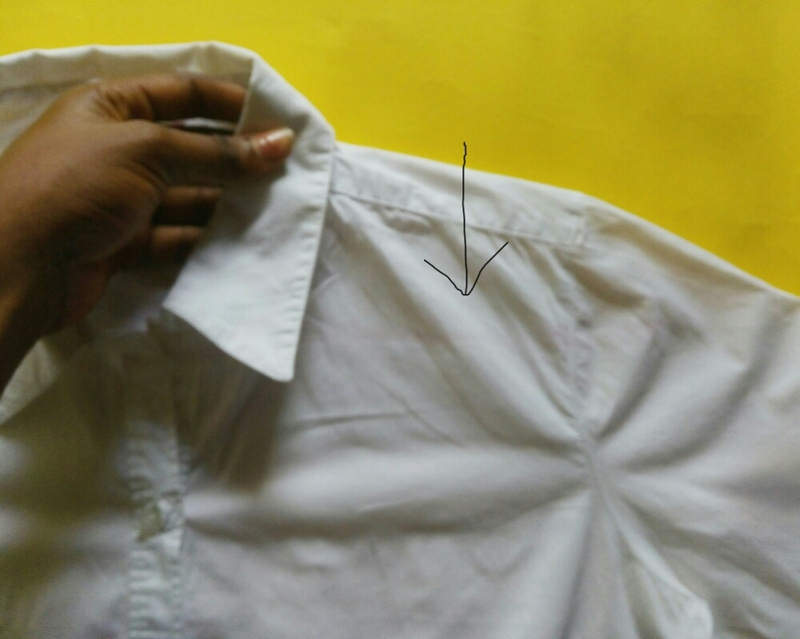 How to; Make An Off Shoulder Shirt From A Button Down Shirt! We are gradually coming to the end year and I’m working towards to meet up with most if not all of my goals, so it’s likely going to be a busy period for me. Anyways, trend or no trend, one reason to totally love the off shoulder neckline is because it accentuates the silhouette of a woman. However the advantage of it being a trend is that you get to different versions of it. The off shoulder button down shirt is one of the versions I absolutely love. I’ve always wanted one, but my wait was unproductive, so I made one for my self from a button down shirt I previously own, and I’ve decided to share it you. 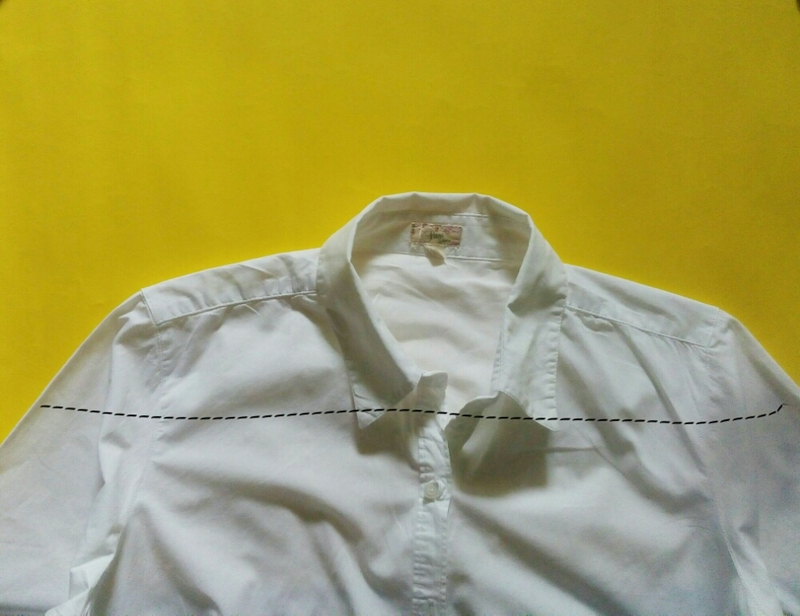 Cut off the collar part of the shirt. *Just pretend you didn’t see my nails here , if you check the other pictures below you’d notice that my nails were pretty clean. I used a very handy and portable nail polish remover pad, you can check to see my review on it. 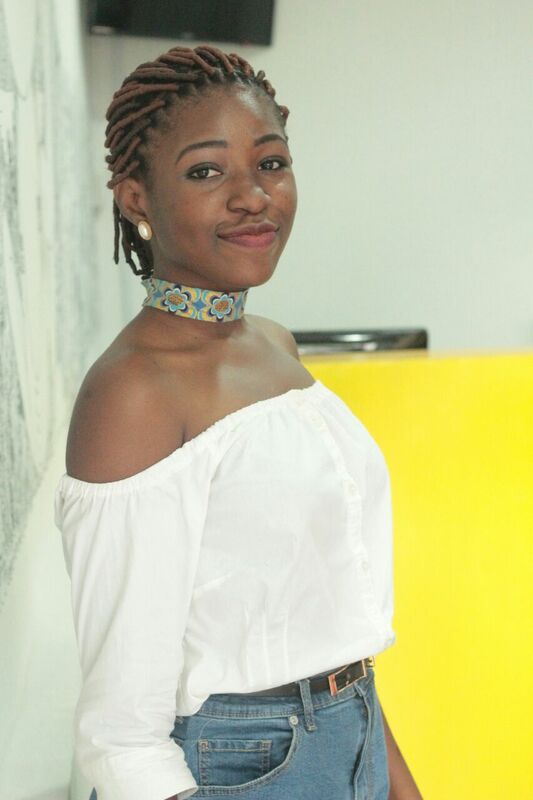 Back to the Off Shoulder shirt…. Measure around your shoulders (check picture below, but just around your shoulders), then subtract 8-10inches depending on how fit you want it. • However before you cut it, put the elastic band around and check if it’s okay (i.e not to tight, not to loose). Make adjustments on the elastic band length if need be. 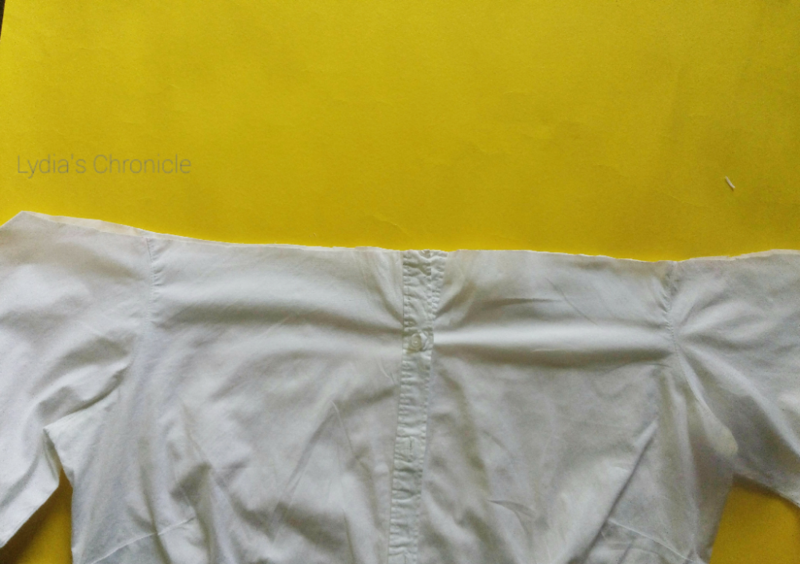 ⚫Add an extra inch for sewing allowance. 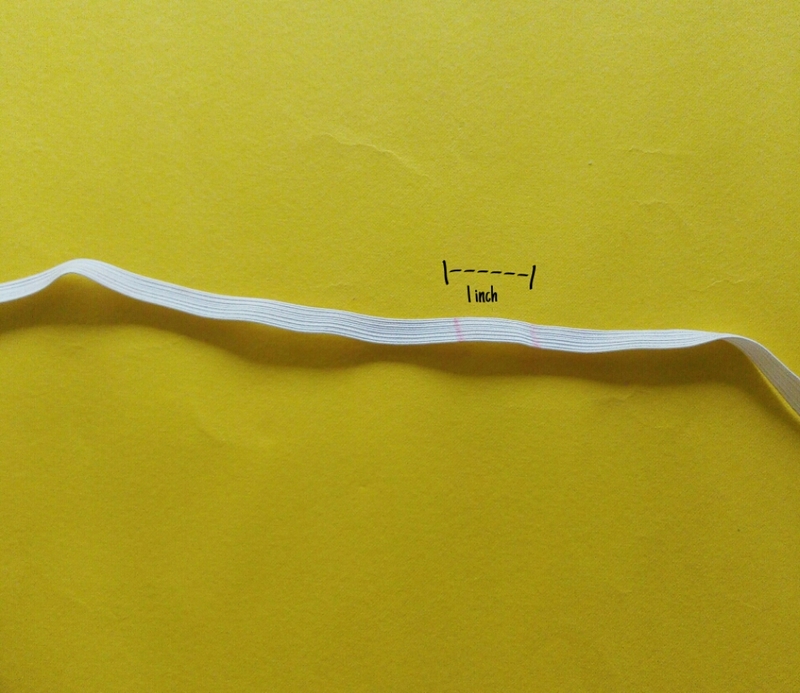 ⚫ Make sure the width of your second folding is more than the width of the elastic band. In order to avoid sewing on the elastic band itself. 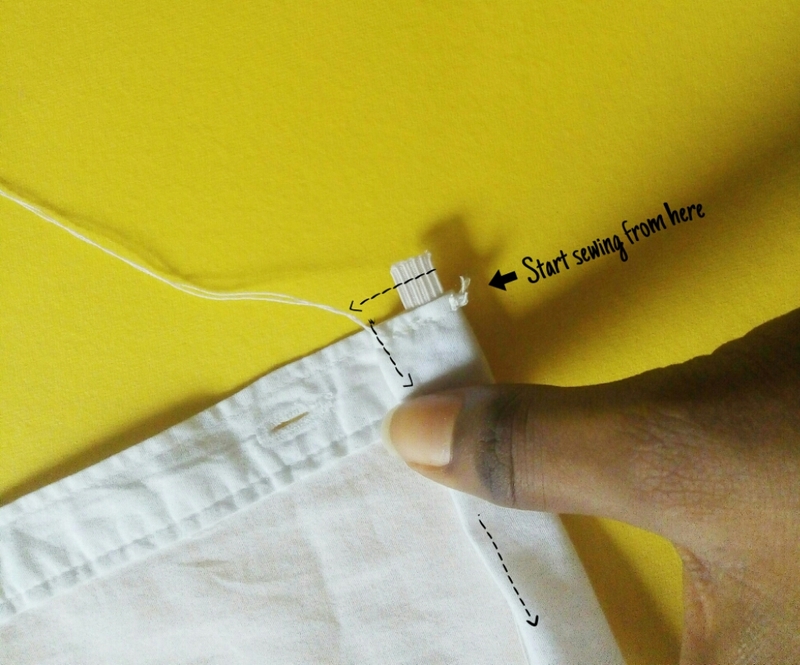 Start sewing from the top and follow the arrow on the pictures. Keep folding and sewing until you get to the other end. 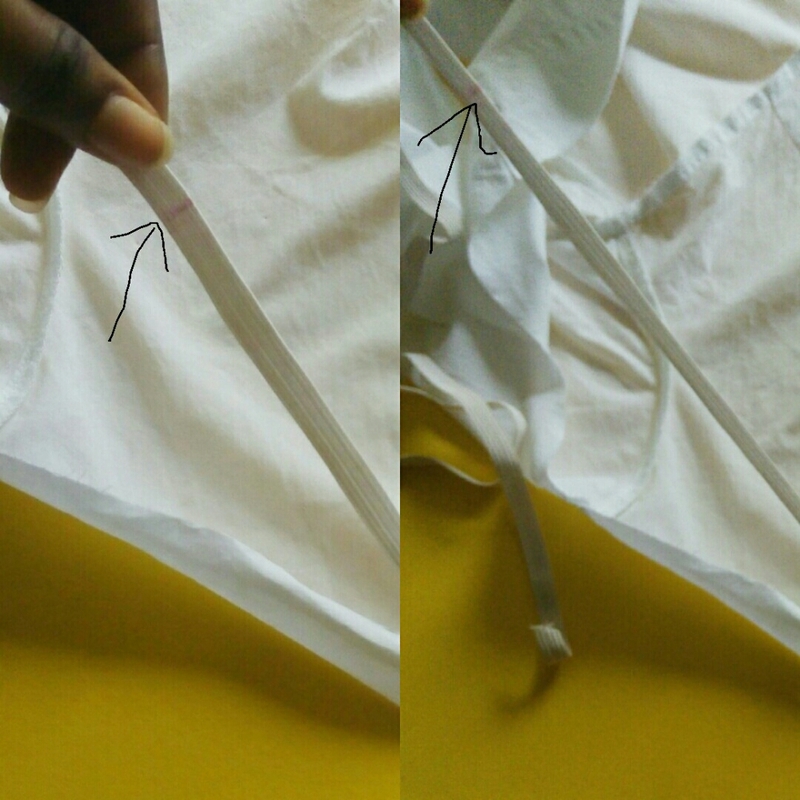 ⚫Just in case the elastic feels short, you can slightly pull it to make it longer and easy to sew. 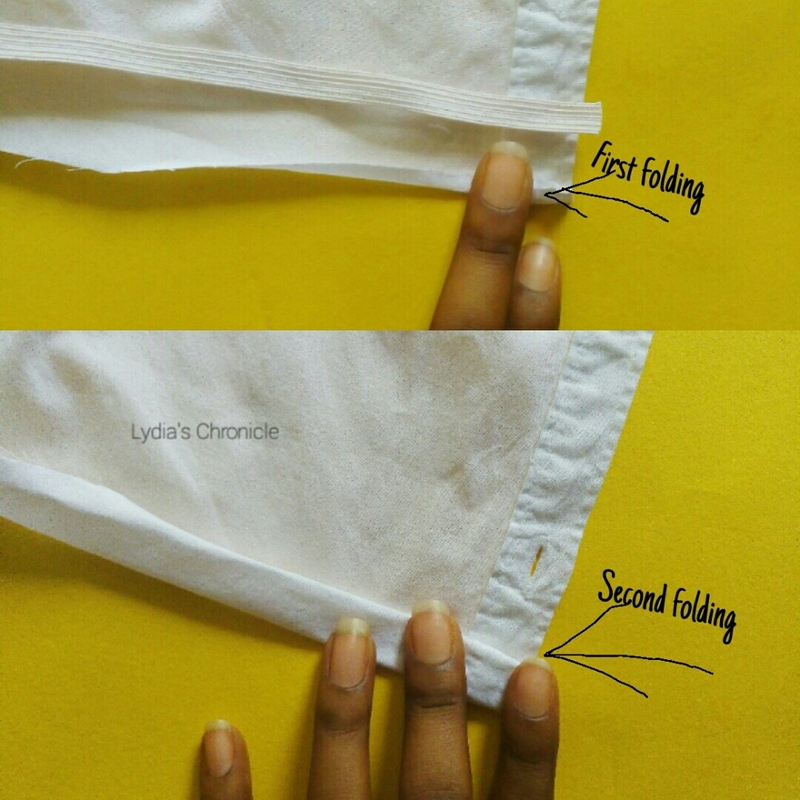 ⚫Try to keep your sewing in a steady and consistent pace, in order to achieve a neat finishing. I started with needle and thread, but ii eventually used my machine because it’s faster and probably neater. If you are not so good with hand sewing or you’d prefer a very neat finishing and you don’t have a machine. You can just give these street tailors to sew after you’re done with the hand sewing so they can use your own sewing as a guide. And… Taadah! You got your own off shoulder button down shirt! 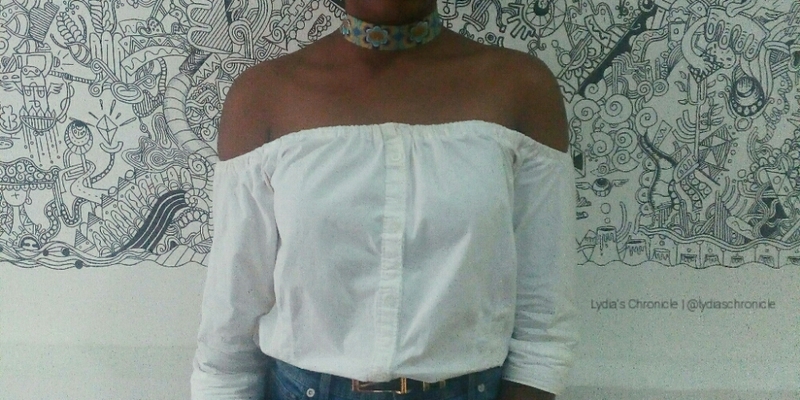 I rocked my off shoulder shirt to the CAG Bloggers forum on Saturday, speaking of which I got home very late (traffic) and was drenched by the rain, so I’m a little bit under the weather. See my full outfit and recap of the CAG bloggers forum here . PS; I hope my tutorial is easy to understand, if you have any questions, do let me know! Wow, this is extremely creative. I might just try this out but I’m scared I’ll ruin my shirt, lol. It’s pretty easy if you follow the steps. You can try it with an inexpensive shirt. I was scared too, so I used a thrifted shirt, just in case it I ruined it, I won’t be hurt. Nope, it’s a normal shirt DIY’ed into an off shoulder shirt. This is incredibly dope. I just started trying my hands out at sewing. Was the bloggers’ forum at Ikoyi? Because I heard of one that would be holding, bet it was fun. A friend of mine went for it. It was fun, you should have come. Would have loved to but was not in town. I hope there is another one soon. Aw sorry you got home drenched. I can not get over the fact that you made this top, I need to learn from you. Thank you dear, and thanks for stopping by. Errmm, so this shirt was made by you?! It was not even obvious oo!!! Wow!!!! Amazing!!!!!! Lol 😀, Thank you CAG !! So creative dear. Love the transformation. DIY projects scare the hell out of me, I get gingered to do a project and I get lazy or slightly discouraged by the result. You should, I’m planning on doing some more. That’s like the safest thing. Trying it with a not so expensive shirt. This is really creative. Come and do for me na. DIYs are not even my forte at all but I have many up in my head that I’d like to try out. I was among the first people to see this post on your blog. I was amazed but unfortunately I didn’t leave a comment. But I am here now better late than never. This is so creative and very daring because I would have been scared to ruin my shirt. Very creative DIY project. Lol true better than never, thanks dear. Wawu!! How creative!!! Like I’m so impressed especially because my sewing skills are non -existent. Well done. Aww,thanks dear. And thanks dropping by.